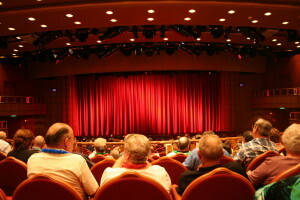 Muses Theatre exists to provide the community with a high-quality, entertaining, unique and yet affordable theatre experience. That’s why we provide a variety of productions and educational experiences to reach everyone, even those who don’t typically attend theatre. This type of theatre is unheard of and a one-of-a-kind approach to theatre and performance in the greater Atlanta area. The Atlanta area is multi-dimensional, and Muses Theatre was created to provide the area with a multi-dimensional outlet for theatrical entertainment and education! For Generation X, we provide a “Hyper-Theatre” experience. This is an innovative hybrid of theater traditions, puppetry, mask work, dance, music and modern technology. Through a collaborative development process, with an emphasis on design and storytelling, this creates original, thought-provoking performances. We cultivate unique audience experiences that appeal to multiple generations of theatergoers in order to expand the boundaries of contemporary American theater. For Atlanta-area children, we provide “Mini-Muses Workshops” which ensures that even the youngest theatregoers will leave educated, entertained and passionate about the stage. For the true artists among us (young or old) “Muses Acting Workshops” will be provided on a weekly basis. For more information, send an email to musestheatre@gmail.com. Our Jazz and Comedy Nights were designed to cater to all genders and ages, to pique their interest and give them an opportunity to laugh, cry or discover new modes of self-expression. Muses Theatre will also hold ongoing “Muses Playwright Workshops” to provide local writers and playwrights an opportunity to see their ideas come to life on stage. In the spring of 2017, Muses Theatre will unleash a new workshop series for film makers, the details of which will be announced in the fall of 2016. So, watch this space! 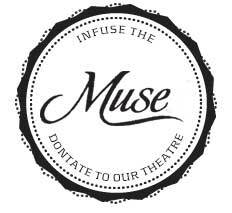 At Muses Theatre, our focus has and always will be one thing: COMMUNITY!